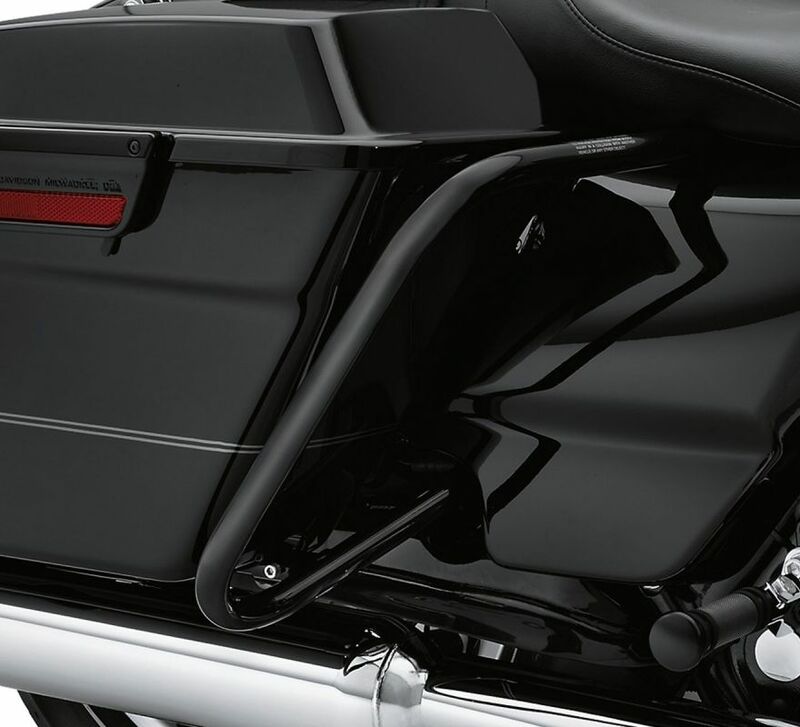 The classic Harley-Davidson® colour is black. It shows your attitude, your feelings and your desire to be different from the rest. 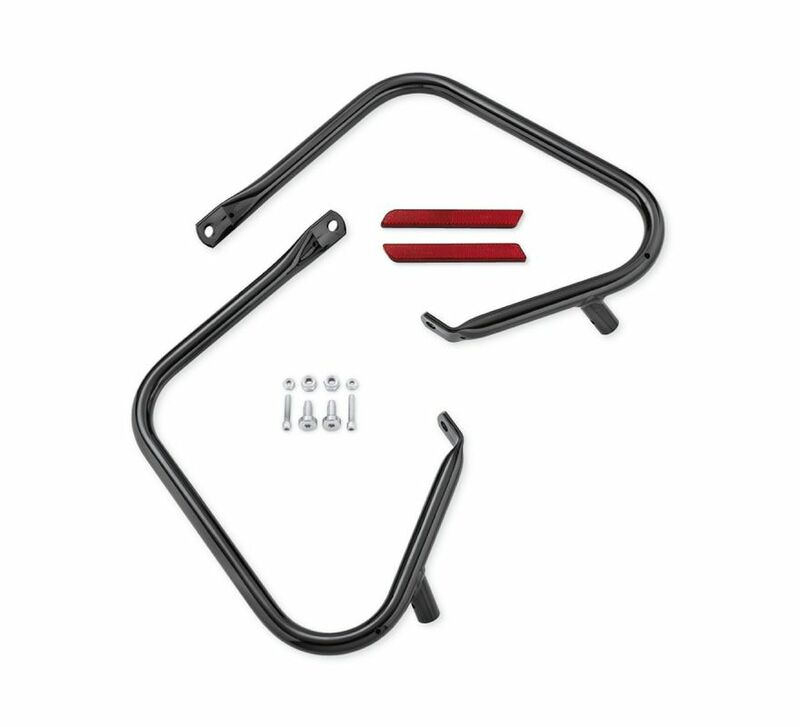 These guards may provide limited leg and cosmetic vehicle protection under unique circumstances (fall over while stopped, very low speed slide). They are not made nor intended to provide protection from bodily injury in a collision with another vehicle or any other object. Fits '09-'13 Touring models. FLHX, FLTR, FLTRU, FLTRX, FLTRXSE, '13 FLHRSE, '10-'12 FLHXSE and '09 FLTRSE models require separate purchase of Saddlebag Supports P/N 49194-09A and 90781-09A, Nut P/N 7531 (Qty 2) and Antenna Mounting Bracket P/N 76516-09.